I'm not sure why I drew this. 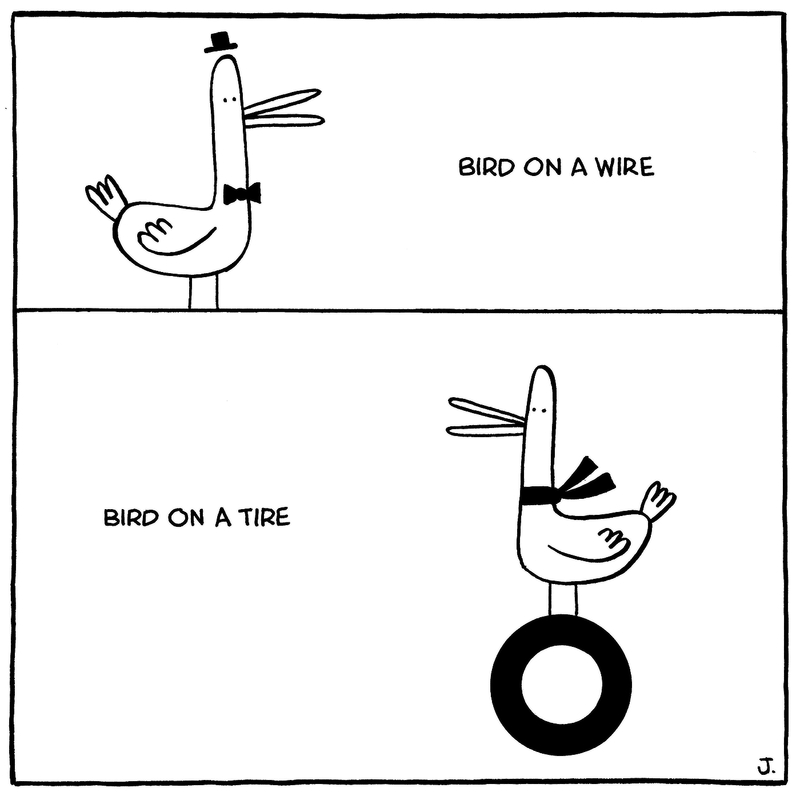 Bird on a wire looks more sophisticated, but Bird on a tire has such a fashionable scarf. I wonder which one the lady birds would prefer?